In July 2004, the German Federal Cabinet adopted the draft amendment of the law governing non discriminatory network access (EnWG - Energiewirtschaftsgesetz). It transposes the EU Acceleration Directive for electricity and gas into German national law. Nicole Wilke and Camilla Bausch explain the essential elements of the draft amendment in an article. 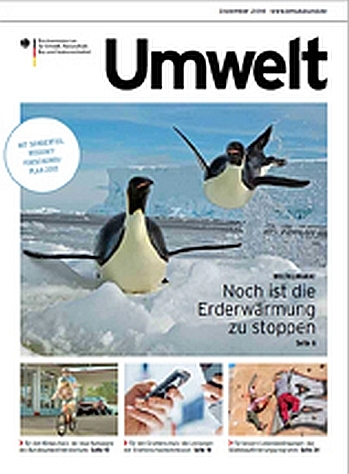 The article has been published in 'Umwelt', the monthly journal of the German Federal Ministry for the Environment. Ecologic Institute supported the German Federal Ministry for the Environment in solving legal questions concerning the project Renewable Energy Sources Act - Register of installations. Wilke, Nicole and Camilla Bausch 2004: "Paradigmenwechsel in der Energiepolitik". Umwelt (BMU), Vol. 2004, No. 9, 489-491.